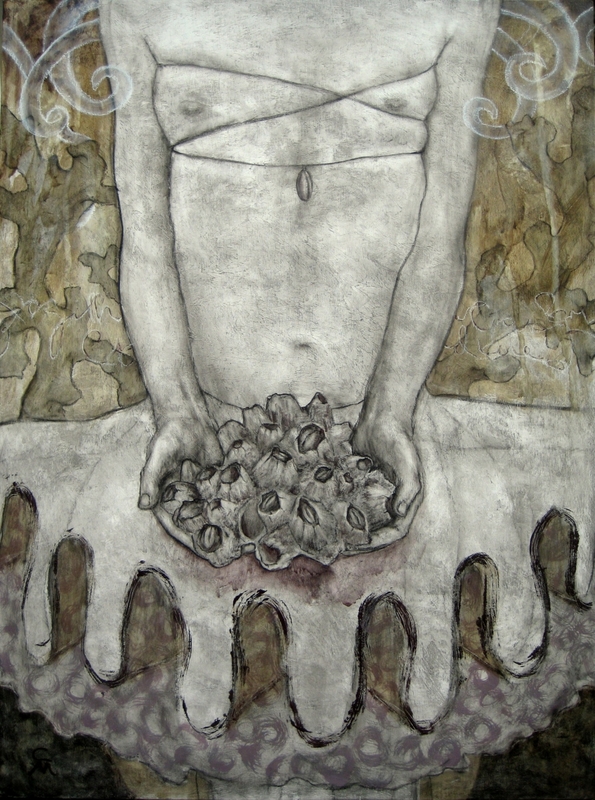 Original Artwork: Charcoal and Acrylic on wood panel, 24"x 18"x 1". This painting is featured in the Illuminated Earth Oracle as the card of "Attachment". It speaks to the condition of being bound by situations that keep us attached and the choices we have to let them go.